OmniSite makes Internet of Things (IoT) enabled monitors and controls — both the hardware and software — that help protect people and the planet. OmniSite’s industrial wastewater products prevent sewage at lift stations from flowing into our lakes and streams, this helps ensure our drinking water is pure and clean. We also manufacture a consumer product (www.pumpalarm.com) that helps homeowners avoid flooded basements. “We start with our employees because they are our most valuable asset,” – Tom Ward, President. Employees enjoy some of the best benefits available. Where else do you have access to a free gourmet cafe, bi-weekly fitness classes, superior health and 401k benefits, flexible PTO scheduling, and access to continuous education? We’re a small firm, but provide big-business benefits because we know what drives our innovation…our people. OmniSite seeks to be an innovative and profitable company driven by a passion for our customers. We believe we can be the industry leader in our field. To help guide us to that goal, we have created a company mission, vision, and value statement. Each word has been carefully and intentionally selected to help shape the path we will follow today and each day after. We stand by our commitments to our customers, employees, and products. Our mission is to provide affordable and reliable monitoring solutions. We aim to surpass customer expectations by providing excellent products and services that are innovative, easy to use, and protect the environment. We strive to meet our customers’ growing needs to become their choice business partner. Our vision is to be a multi-industry global leader in providing web-to-wireless products, services, and solutions by creating a full line of products that transforms the way people manage and distribute information from machinery. We aspire to become a dynamic company that is always growing and learning. Attaining our vision requires individuals to possess ingenuity, knowledge, and commitment and for the company to create an enriching environment of trust, cooperation, and mutual respect. 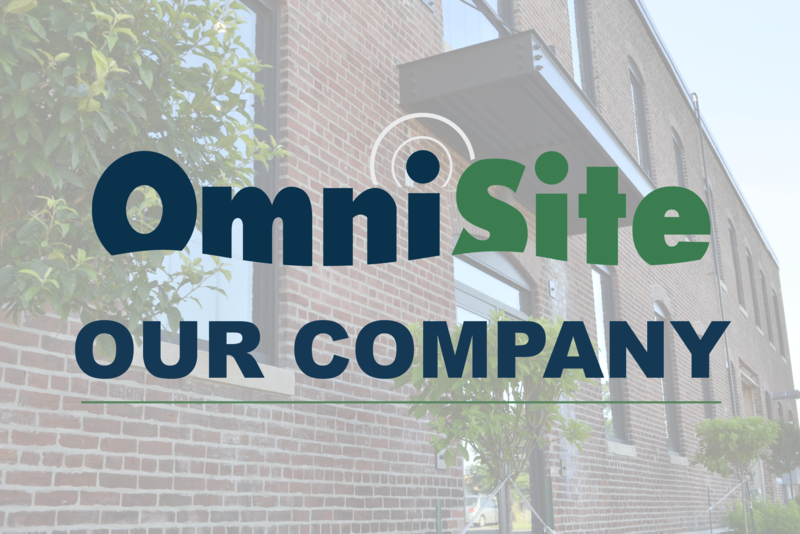 OmniSite is a company that values quality, innovation, and customer satisfaction in our products and productivity, creativity, and teamwork in our employees. As a company, we value our customers and seek to serve them with integrity and sincerity. Assemble components, cases, and packaging, including our PCB’s, here in the US. Engineer, test, market and provide customer support from our US headquarters. Use local sales agencies throughout the US and North America for distribution. Our products help support hard working American jobs and we are thankful for the opportunity. Thank You for supporting American jobs!